Well, I finally finished my seventh book read this year. Barely one per month? Ouch. I used to read a few books each week (besides Dr Seuss and picture books, too!). Somehow, I really don't think I read The Scarlet Letter by Nathaniel Hawthorne in high school, but I'm counting it as the 4th spot on my challenge list - a book you haven't read since high school. See, I really didn't recognize the story line. I mean, everyone knows the general gist of it, but I never realized they name her husband and her baby-daddy. LOL Where have I been? 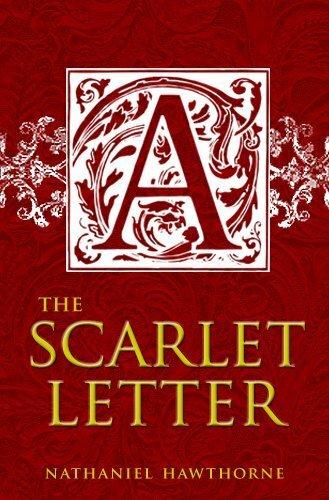 I did like the way Hester Prynne used her ostracism and independence for good. While I felt bad for little Pearl, I was impressed that Hester just busied herself with helping those who could use her assistance (even if they didn't want it), and took care of herself and her daughter by making a few bucks with her exquisite stitching. While I think it was supposed to be more sad that she couldn't be in a traditional relationship, Hester just being Hester with her kind heart and gentle ways was beautiful. Sounds like a great read! Right now I'm really into inspirational books but this sounds so interesting! I'll have to see if my local library has it so I can pick it up! Thank you! I read that in High School. I get called out for nagging all the time, lol.